From May 13-19, craft beer connoisseurs and beginners alike will come together for the eighth annual celebration of American Craft Beer Week (ACBW). With the tagline “Big Week, Small Breweries,” ACBW is an opportunity to toast the more than 2,400 small and independent American craft brewers who continue to make the U.S. the world’s most diverse brewing destination. 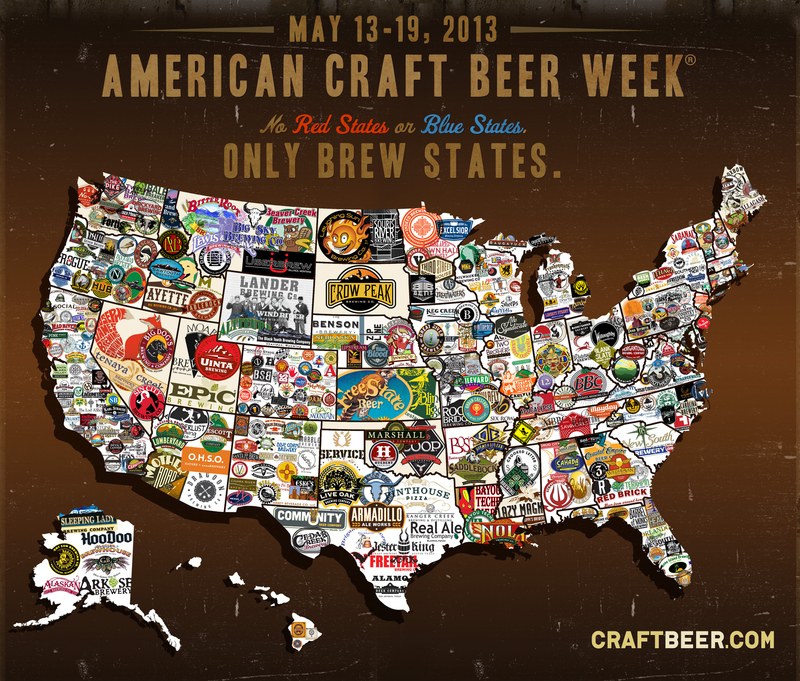 Once again, ACBW celebrations are expected to be held across all 50 states. New for 2013 is the American Craft Beer Week National Toast. For the first time ever, ACBW will be commemorated by a simultaneous toast. At 8:00 p.m. ET/5:00 p.m. PT on Thursday, May 16, small brewers and craft beer lovers nationwide will raise a glass of their favorite craft brewed beer to toast ACBW and the delicious beer that it celebrates. To find a toast location near you, visit the official American Craft Beer Week events page, hosted byCraftBeer.com. Download your copy of the American Craft Beer Map here. Follow American Craft Beer Week on Twitter. Next What Are You Famous For?